I just finished installing a group exhibition for this Friday. 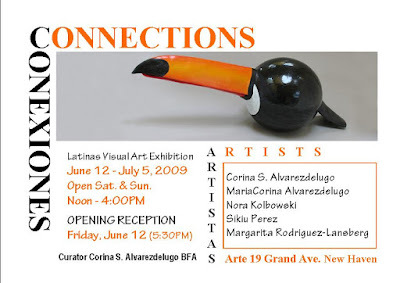 We are a group of latin women artists ando for the first time we are going to show together. Three of us are venezuelan, our art is very different but we have so many things in common, the love for the material, colors, textures and our culture. Are you wondering what am I talking about? well you have to see it with your own eyes. Oh how I wish I lived closer so I could be there to enjoy the beautiful art!